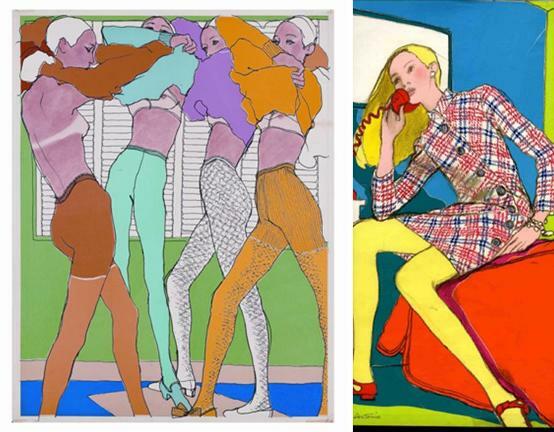 Another inspirational set of fashion illustrations is on display, this time at London's Design Museum. "Drawing Fashion," featuring works from the collection of Joelie Chariau, founder of Germany's Galerie Bartsch & Chariau, is the first exhibition in London to be devoted to fashion drawing over the last 100 years. 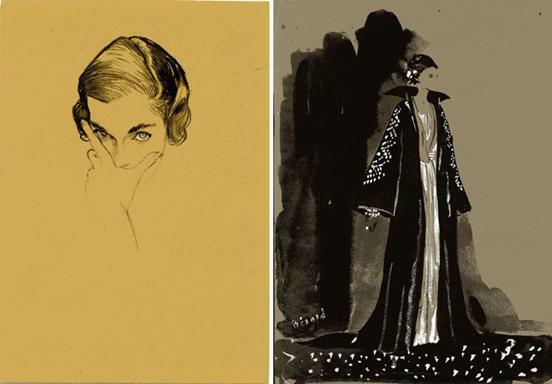 The drawings showcase 20th- and 21st-century looks sketched by illustrators such as Erté, Lepape, Antonio, René Gruau and Mats Gustafson for houses including Chanel, Dior, Comme des Garçons, Viktor & Rolf, Lacroix, and Alexander McQueen. 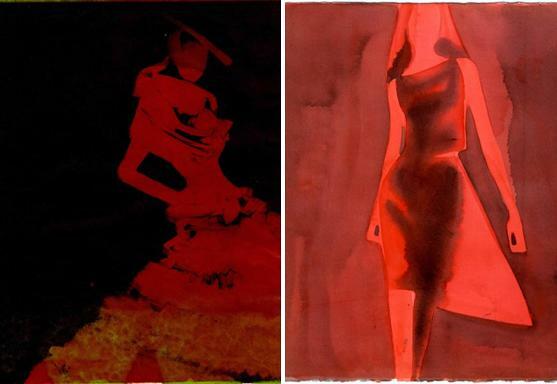 "I have always responded to drawing as strongly as to finished paintings as they show us the working of the artist's mind so clearly, and I have always loved fashion drawing for the same reason--plus the fact that the good ones show us the way the designer's mind also works," said the show's curator, fashion historian Colin McDowell. 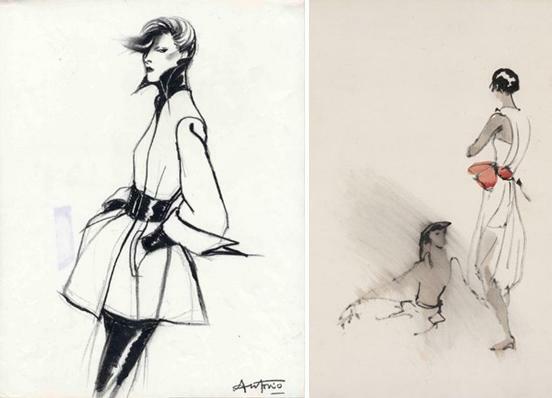 "True fashion drawing has a very special role in fashion creativity--something rather forgotten today by many of the slick illustrators who have a certain skill but nothing at all to say with it. A good drawing illuminates the clothes not only for the public but frequently for the fashion designer himself. The works on show at the Design Museum have been carefully selected to show fashion drawings not as mindless exercises in empty technique but as works of art in their own right." That same position is held firm by Chariau, who told T Magazine that when she began collecting fashion illustrations, "it was a field that no one had been interested in." She's been able to amass purportedly the largest collection of the foremost fashion artists of the 20th century--it's one of the main focuses of her Munich gallery (the other is classic cartoons of the last three centuries). Chariau said drawing has a new impact: "Today there are so many images that it’s almost impossible to find one that strikes the imagination. When people look at drawings, they say: 'Oh, my God! It’s fantastic!'" McDowell said he and Chariau chose the drawings for the exhibition based on quality and the artist's understanding of the clothing depicted--the way it would move, the way it would be worn in everyday life. 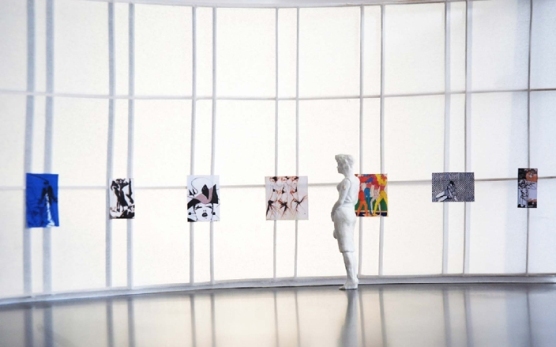 The result is a gathering of work that is colorful, abstract, realistic, stylistic--a cross-section of major artistic movements, including Art Deco, modern art and Pop Art, as well as a cross-section of fashion movements, from Dior's New Look to disco to today's simplicity and extravagance. In addition to the illustrations on display at the Design Museum, film-clips, news reels, music and photography explore the broader social and cultural changes throughout the past century, reconstructing the world of the clothing and women depicted. 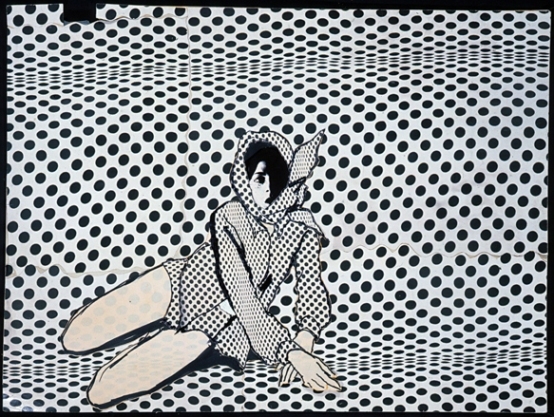 "Drawing Fashion" is on display through March 6, 2011. For more information or to check out accompanying events scheduled at the museum, click here.